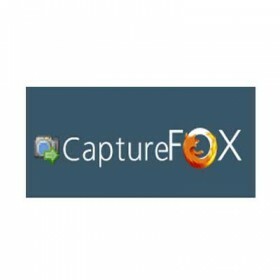 Capture Fox is a freeware Firefox add-on that allows you to record every action in your computer within your browser. It is a very good software for creating tutorials about a software or a website. Once the program is installed, it records your screen frame by frame. Sound can also be recorded along with the video using a microphone. One very good feature of this program is that, video quality can be adjusted.